Budding film makers have been invited to produce short films about life in Blacon as part of a Chester community project. The Spotlight on Blacon competition is being run by community group, Film Chester in partnership with Chester History and Heritage Centre. And entrants could see their work screened at a special showcase event happening at the history and heritage centre next month. Film makers have been invited to make and submit a short film about Blacon, which could be in the form of a documentary, a short drama, a video diary, a visual poem or a look at an historical aspect of Blacon. The aim is to celebrate and preserve the history of Blacon and the film can be made using a camera or a smart phone. It’s all part of the Spotlight on Blacon photographic exhibition currently running at Chester History and Heritage Centre, which charts the development of Blacon over the years. The exhibition runs in the foyer of the centre until 26 June. The competition is open to anyone and is free to enter, with film makers invited to submit new or existing films by the deadline of Monday 13 April 2015. All content must be suitable for a family audience and be a maximum of three minutes in length. No copyrighted material can be included. To submit an entry, send a link to your film to filmchester@gmail.com or via facebook.com/chesterfilmcoop. You can submit a DVD. To do this, contact Film Chester to get postal details. So who are Film Chester? Film Chester was set up by members of The Chester Film Co-op. 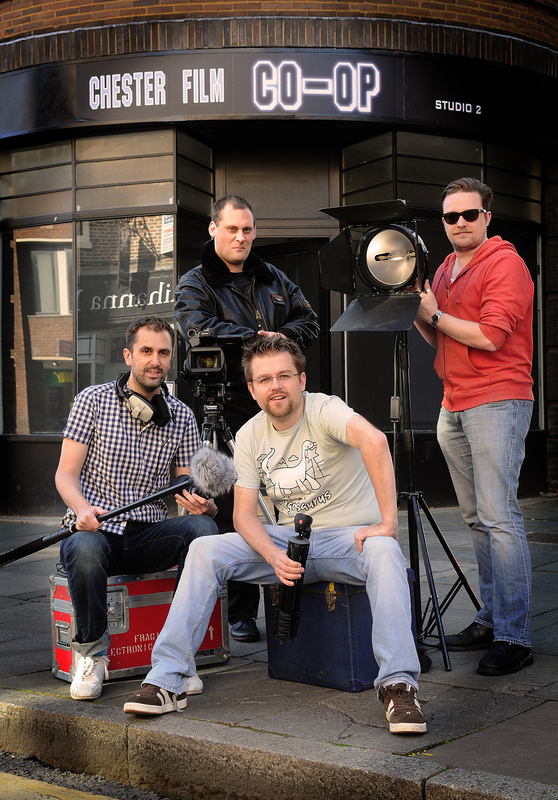 The Chester Film Co-op was a creative initiative set up to bring local film makers and artists together to collaborate on projects as part of Cheshire West and Chester Council’s RE:NEW project. RE:NEW is in the process of transforming Chester’s 1936 Odeon cinema building into a new world class cultural centre that is set to open in 2016. The centre will include a theatre, library and cinema. Film Chester also hold a variety of exhibitions, networking events and workshops.